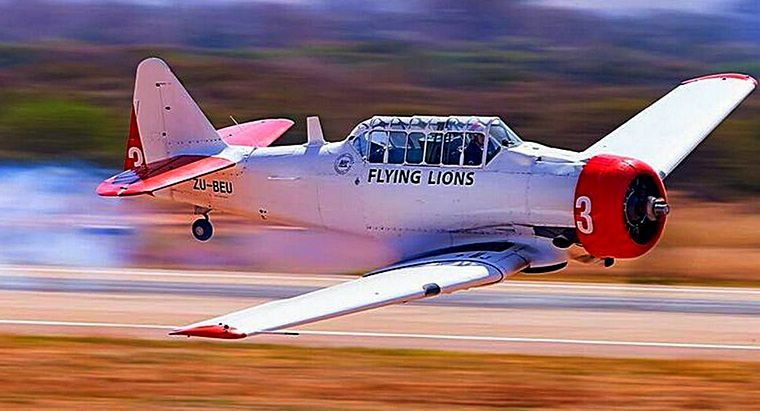 Almost 50 years to the date, Sir Seretse Khama International airport, Gaborone Botswana, was the venue for the first ever international airshow in celebration of its 50th anniversary and marking 50 years of aviation in Botswana. The show was hosted by The Botswana Tourism Organisation. The Botswana Defence Force (BDF) opened the show with a show of force. Flying just about every type in its fleet, including the Presidential jet, a Bombardier Global Express XRS flanked by two CF-5 fighter jets, the flag bearers where two Bell 412 helicopters, four Pilatus PC7 Mk IIs, Airbus Defence C235 as well as its Lockheed Martin C130 filled the skies above the airport. This was then followed by an anti-poaching demonstration between the BDF and the Botswana Wildlife services that operates an extensive air wing of a newly acquired King Air 350, Quest Kodiak and Jabiru 430s. A Bell 407GT from Rhino911 - a programme to declare war on rhino poachers showed off its capabilities in the war against anti-poaching. 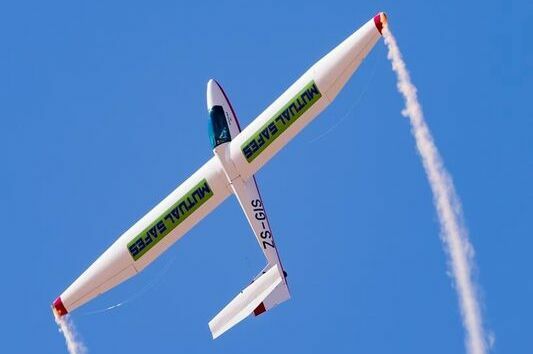 International acts from South Africa included the best of the South African airshow display teams. 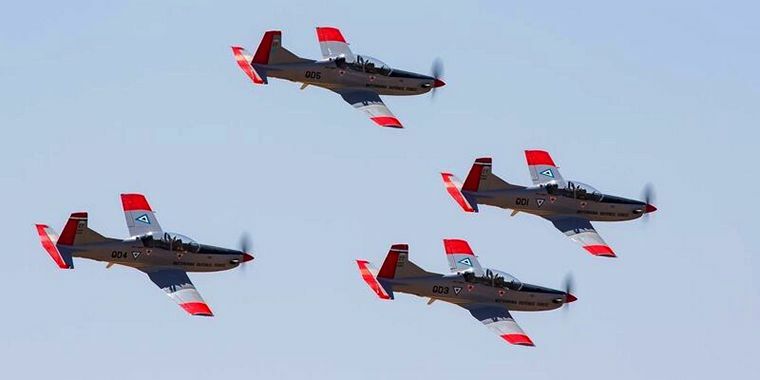 Aerobatic displays included two Extra's, the Flying Lions Harvard aerobatic team, the newly formed Raptors Aerobatic team in six of their Rvs, the GoodYear Eagles Pitts aerobatic team, the Jet formation made up of three L-39s and a Impala, and Cessna 210 formation. Not to be outdone by the fixed wing contingent, a Bell 407 had the large crowds on their feet in an adrenaline packed show between itself and two drifting cars, a first for Botswana. Solo displays, and many 'first ever' displays where flown. These included a J3 Cub landing on top of a truck, a P51D Mustang, a Trojan T-28 and a Pilatus Glider. The show stopper of the day had to be the 'Leap of Faith' act. 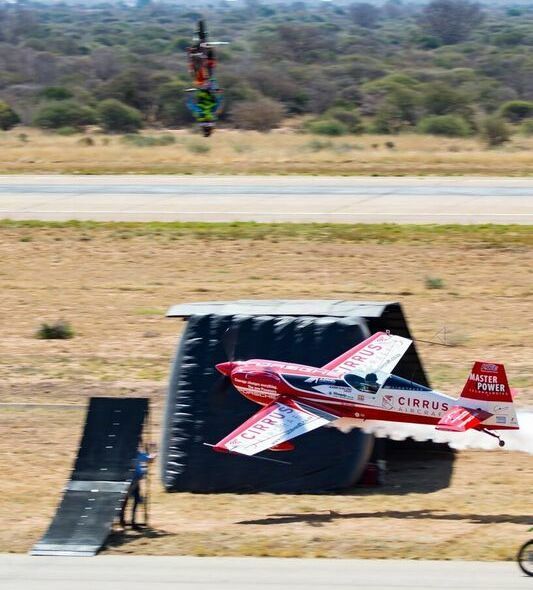 This death defying act, that had Nigel Hopkins flying his Extra 330SC very low-level, fly between a ramp that had a extreme motorcycle stunt leap over the aircraft while doing a backflip on the motorbike. In celebration of the anniversary, a team of skydivers put on a spectacular '50' formation display. Closing the show was a night display flown by three of the Flying Lions in their Harvard's.